Horror Films 101: Movie moments that traumatized my childhood. 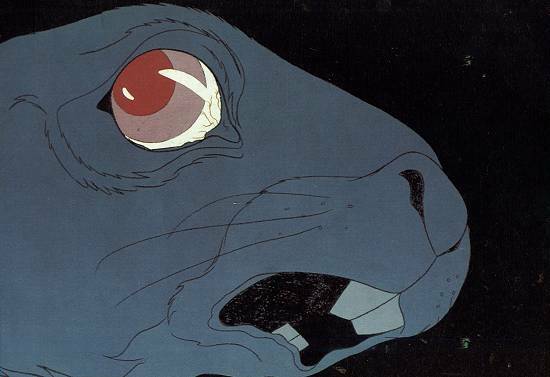 A still from the animated film version of “Watership Down,” showing the last, terrified moments of a rabbit’s life. 1. The destruction of the rabbit warren and wholesale slaughter of its occupants in the 1978 film adaptation of the Richard Adams novel Watership Down. The filmmakers did not shy away from the darker shadings of Adams’s novel, and the violence contained in the source material appears, quite graphically at times, on screen. The scene of the warren destruction is rendered in an abstracted fashion, but is nonetheless effective in conveying the horror of the rabbit massacre. Walt Disney, this ain’t. The ‘demon face’ was that of Eileen Dietz, who also starred in Happy Days and General Hospital. Oh, what a little make-up and effective editing can do. 2. The freaky demon face that flashes on-screen in William Friedkin’s 1973 horror classic The Exorcist. In the (far superior) original theatrical release of the film, this ‘demon face’ only appears twice: once, during the nightmare sequence of Father Karras, where he envisions his elderly mother standing at the top of a stairway leading down to the NYC subway; and lastly, during Regan’s exorcism. Each time, the face only flashes on-screen for mere seconds — just enough time to burn onto your retina and torment you for the rest of your days. 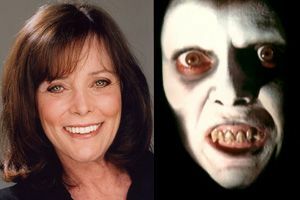 According to the trivia section of imdb.com, the ‘demon face’ was supplied by the actress Eileen Dietz, who also stood in as a body-double for Linda Blair in a couple of scenes. In the director’s cut of the film (released in 2000), the face appears with considerably greater frequency, diluting its impact. 3. 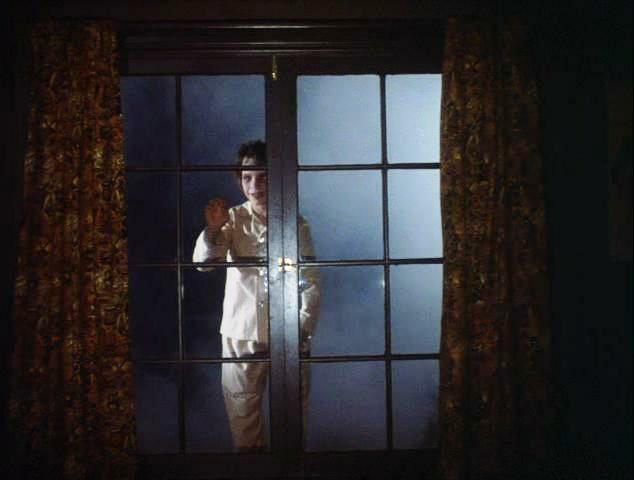 The vampire kid scratching on his friend’s bedroom window from the 1979 made-for-TV adaptation of Stephen King’s novel Salem’s Lot. Director Tobe Hooper, best known for his masterpiece of the macabre The Texas Chainsaw Massacre, fully understands the dark, seedy underbelly that lies just beneath the surface of small town, white-picket-fence America. Few directors — other than, perhaps, David Lynch — have as great an insight into the ‘suburban Gothic’. The vampire of Hooper’s film is not a romantic seducer but, in keeping with the German Expressionist tradition of F. W. Murnau’s Nosferatu, he’s a ghoulish, hideous monster with a taste for the blood of children. This scene with the undead child paying a nighttime visit to his former playmate scared the bejeezus out of me when I was a kid. It was, in part, the awful sound that his fingernails made as he scratched the glass, beckoning to his friend to open the window. 4. Ben Gardners’s head suddenly appearing through the smashed hull of his sunken boat in Steven Spielberg’s 1975 masterpiece Jaws. Even though, as an audience member, you know exactly what Richard Dreyfuss is about to stumble across, I betcha it’ll still make you jump. 5. The terrifying tale of Large Marge from Tim Burton’s 1985 Pee-wee’s Big Adventure. No, seriously. It’s a creepy — and classically Tim Burton — moment. Just tell ’em Large Marge sent ya.